Isla's got her dream job as head stylist at the most exclusive salon in Edinburgh. The fact that she's been so single-minded in her career that she's forgotten to have a life has completely passed her by - until disaster strikes. Out of options, she heads to the remote island of Auchenmor to help out her aunt who is in desperate need of an extra pair of scissors at her salon. A native to the island, Finn is thirty-five and reality has just hit him hard. His best friends are about to have a baby and everything is changing. When into his life walks Isla . . . I think I need to start by saying how good it was to return to Auchenmor, previously seen in Rachael Lucas' Sealed With A Kiss (& Christmas sequel), the rather remote Scottish island, full of warm hearted locals and we get to catch up with old friends too. That being said this is not a sequel of any sort, and although has the same setting as previous books, can easily be read as a book by itself, and what a book it is! I adored this story from its first rather funny incident, to Isla's initial opinions of the island and all the character development as the novel progresses. Isla makes a mistake in the first chapter which leads to her being put on gardening leave for 2 months from her top hair salon in Edinburgh. This coincides with her aunt needing someone to take over her salon in Auchenmor, somewhere that Isla has visited once and vowed never to go to again. Isla takes an instant dislike to the island and even buys a cheap calendar to count down the days, her aunt's salon is worse than she was anticipating, but after a couple of weeks you can see attitudes start to change. This is in part due to a growing friendship with one of her older customers, who she almost sees as a surrogate grandmother. Then there is Finn, who Isla keeps running into everywhere, and the scenes with the pair of them at Lilly's new retreat are hilarious, as are any involving Lily's son Lucien (although there is similar sounding name that describes him better!). This is a slow burning romance, with growing friendships, and personal growth foremost at the centre of this book, as well as small remote Scottish island life. I love the setting of Auchenmor, as well as its inhabitants, and I really hope there will be more books set here in the future. Wildflower Bay is a wonderful story that I found a pleasure to read, and gave me a warm feeling on a rainy & cold summer's evening. 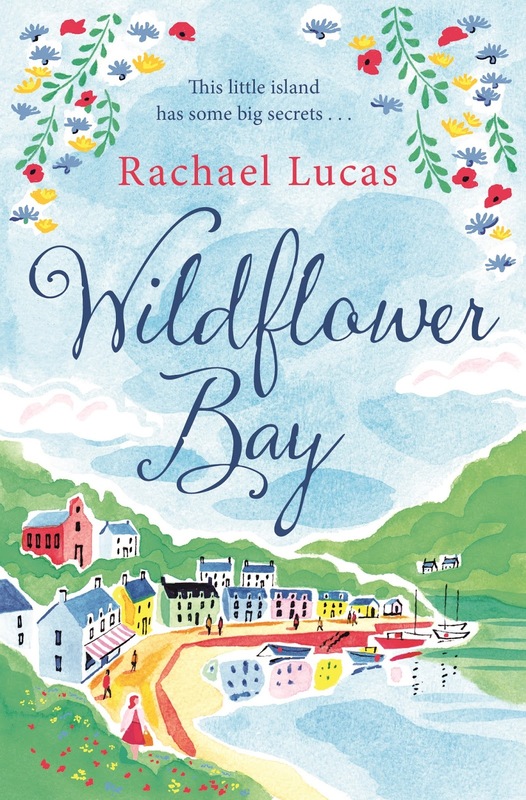 If you like warm hearted, cosy stories set in remote island locations then Wildflower Bay is definitely an excellent choice. Thank you so much to Lucie Twiggs at Pan for this review copy. This was my honest opinion.